Experience you deserve, quality you can trust. Hennessey Family Dentistry has merged with Nemmers & Petrie Family Dental to become Cedar Brook Dental Group. Our expanded staff of familiar faces is committed to our same, trusted approach of compassionate, comprehensive dental care all at one convenient location. 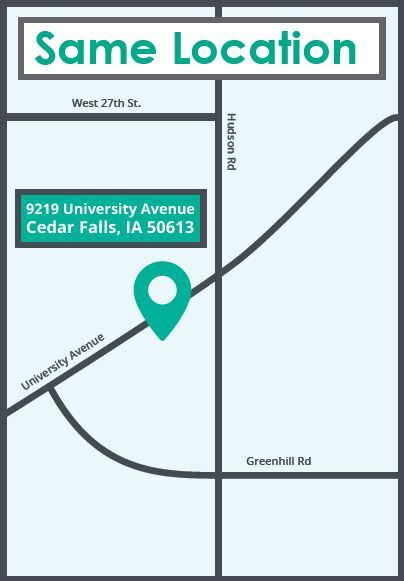 Dr. Hennessey, Dr. Petrie and Dr. Clapham take great pride in providing excellent dental care to Cedar Falls, Waterloo and the surrounding communities. Our team at Cedar Brook Dental Group would love to meet you and show you the difference that friendly, personalized care can make.